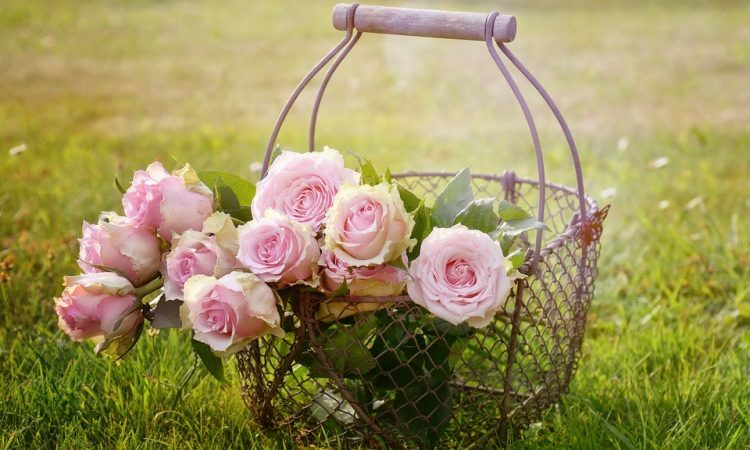 There is probably more varied advice given on the planting of roses than on any item of gardening work; the soil preparation, which is a necessary preliminary and may be considered in connection with it, is the subject of even more contradictory direction. Rather than attempt to weigh the possible disadvantages of one method with the possible advantages of another, it will be more to the point, I think, if I give my own experience and my own methods, for they have for some years given me most satisfactory results. My soil is ordinary garden loam-that is to say, it is the kind of soil one would expect to find in any fairly well tilled garden. It is neither very heavy nor very light, although of course clay preponderates; otherwise it would scarcely grow roses. The method I adopt is a simple one. I do not trench 3 feet deep, as is often advised. Not for the reason that I underestimate the value of trenching, but for the very human reason that full trenching is hard and heavy work, and that a less elaborate method gives good returns. I like to do my own digging, then I have the satisfaction of knowing that it is well done or, at least, done to my liking. In preparing a bed for rose planting I first of all take out a trench 18 inches deep and 2 feet wide across one end of the ground. The soil at the bottom of the trench is then turned over with a fork. We thus get some 2 feet depth of tilled soil. The top ” spit ” of the undug soil is then turned into the trench ; the second ” spit ” is also turned into the trench upon the first ” spit.” Thus, to use an ” Irishism,” we have proceeded one step backward, a new trench having been opened. The soil at the bottom of this is forked over. It may be worth while to mention that in digging over the first ” spit ” the worker faces the open trench ; in turning over the second ” spit ” he works sideways to it ; so, too, when forking the soil in the bottom of the trench. There is really nothing more to tell except to say .that the worker ” proceeds backwards ” until the end of the plot or bed is reached. The last trench is filled with the soil that was taken out in making the first trench. This, by the by, should at once be placed at the end of the ground, so as to save a second removal. The question of manuring is one of importance to the welfare of the roses. There is no doubt that farmyard manure is the best stuff for digging in the soil when preparing for planting, and it is best placed below the second “spit ” that is, immediately upon the forked-up soil at the bottom of the trench. When farmyard manure is not to be obtained readily and near towns it appears to be difficult to procure the best substitute is basic slag. This may be conveniently applied after spreading it over the surface at the rate of 1/2 lb. to each square yard, and then digging it in dig the bed. In any case, whether farmyard manure is used or not, basic slag is an excellent fertilizer to apply in autumn; it is a slow-acting manure, and the plants will derive benefit from it the following season. The actual planting presents no difficulties. The chief points to bear in mind are to dig a hole large enough for the roots to be spread out in it, to plant at such a depth that the point where the plant was budded-the junction of stock and scion-is covered with about 1 inch of soil ; first to soak the roots in a pail of water or puddled clay for several minutes, and to cut off all broken and bruised root ends. It is most harmful to leave the plants lying about when waiting their turn to be planted; they should either be placed in water or covered with soil. The root fibers so quickly dry up and perish when exposed to the air even for a short time. Finally, it is necessary to make the soil firm about the roots. It follows from this that planting cannot be done when the ground is wet ; neither is it wise to plant when the ground is dry, as it sometimes is in October. As to the time of planting, early November is the best of all. However, rose planting may be carried out successfully from the middle of October until the end of March or early April, but not later when the plants are from the open ground. Roses from pots may be planted at any time of the year, though preferably not later than May, since the roots are not disturbed and the plant receives no check. If the removal is carefully carried out one may shift even large roses from one part of one’s garden to another without their suffering, providing they are transplanted, say, not later than the first week in November. I have shifted 6 feet high plants of Hugh Dickinson from a bed for which they proved too tall, planting them against a fence without even a shoot shriveling When bought plants are put in, severe pruning is invariably necessary the following spring. Some growers advise covering the rose beds with manure in autumn when planting is finished. Others, and I am among the number, think a covering of manure in spring preferable. I give a coating of farmyard manure ‘as soon as pruning is finished, which is usually about the first week in April. This is forked just beneath the surface. The roses receive no further manure, except occasional dressings of fertilizer during summer. There are many excellent special fertilizers on the market, as, for instance, Clay’s, Guano, Wakeley’s Hop Manure (which, by the by, is an excellent substitute for farmyard manure), and others. Tonks’ manure is especially beneficial to roses. It is compounded from a prescription formulated by the late Dr. Tonks, and may be purchased already made up. Those who like to mix their own may care to know the ingredients, which are as follow : Superphosphate of lime, twelve parts; nitrate of potash, ten parts; sulfate of magnesia., two parts; sulfate of iron, one part, and sulfate of lime, eight parts. This is applied in early spring at the rate of one pound to the square yard. Tonks manure is best applied in February. It is scattered on the surface of the bed, and then turned in with a fork. It may be well to remind rose planters how necessary it is to secure standards and climbers to their stakes or the wall immediately planting is completed. November is notoriously a windy month and, as I know to my cost, many shoots may be broken off if they are not made fast to their supports. It may be said that I do not practice what I preach; but even supposing this to be the case, surely it is no good reason why I should not give others the best advice. It is true that I have neglected always to observe the rules that I now give for the guidance of others; but have I not paid the penalty ? I would parody the old adage and say that, ” A tie in time saves nine,” but as a matter of fact it does much more, it saves a rose from disfigurement and possible destruction.